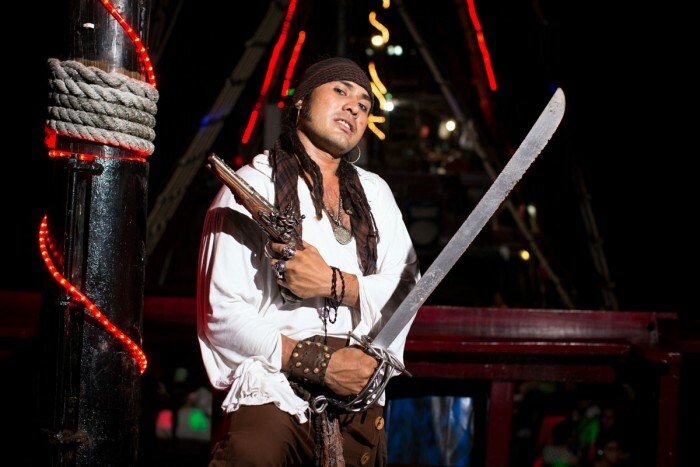 Travel back in time to the era of the pirates on board the old Spanish galleon, the Jean Lafitte. 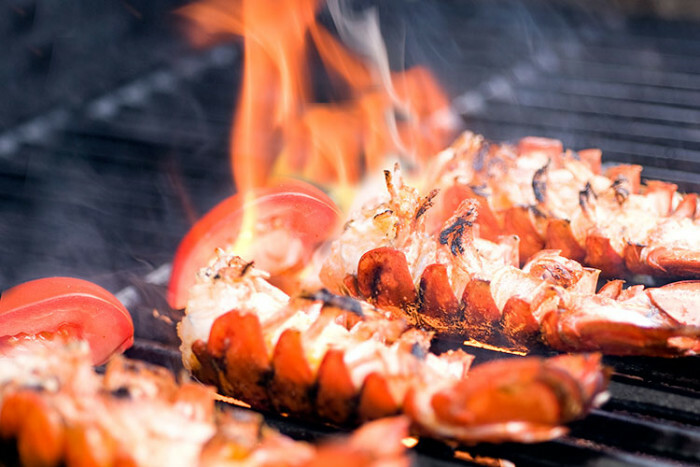 Indulge yourself in a delicious lobster and steak (surf'n'turf); steak and chicken; or vegetarian dinner while sailing through the Caribbean waters of Cozumel. After that it's party time! Games, prizes, live band, entertainment and dancing will make for a night of romance and fun. Soft drinks, beer, domestic cocktails, dinner, live music and show, all included. 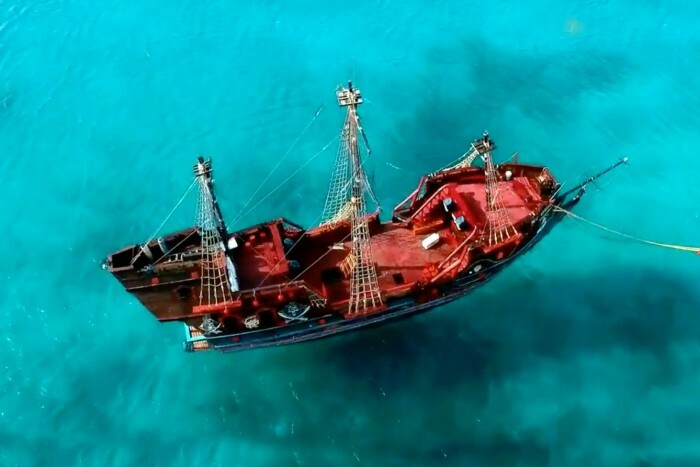 If you prefer a daytime tour that includes snorkeling too, take a look at our Pirate Boat Snorkel Tour. 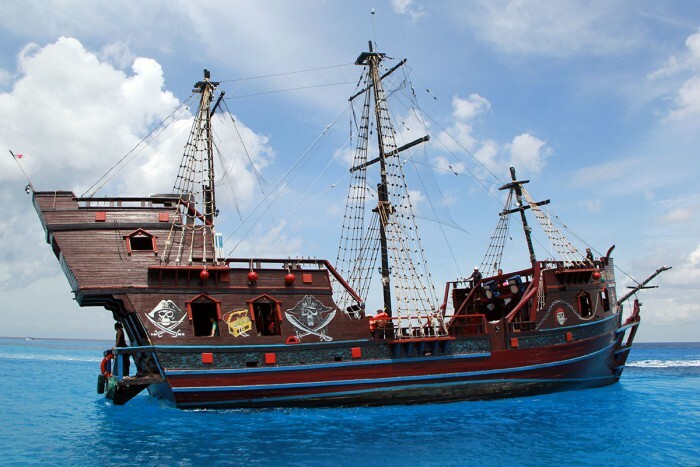 Or if you'd like to drink with pirates on dry land, check out our Pirate Bar Crawl. Free but no food/drinks included, please bring your own. 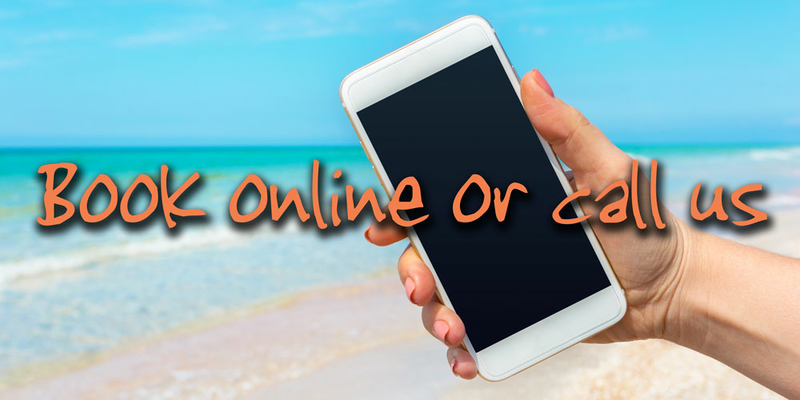 Cash, Visa or Mastercard to pay the balance, cash for pier fee and optional tips. Soft drinks and beer, domestic cocktails, dinner and entertainment. Transport to/from meeting point, $3 USD per person pier fee (payable in cash on the day), optional gratuities. At the main square downtown, detailed directions will be on your E-ticket. Any special dietary requirements must be specified at least 48 hours before the tour date. Please book now, then reply to the payment confirmation email we send you with details of your requirements. Food/drink is not included for infants (0-6 years), please bring your own.